These still develop as needed. We’ve added a couple to get the most pressing issues out of the way. Is Guitar Kitchen compatible with Kontakt 4? How do I open the .zip files? Open a Finder window alongside Logic Pro. Navigate to the folder that contains the Apple Loops. Select the Apple Loops in the folder and drag them into the Loop Browser. 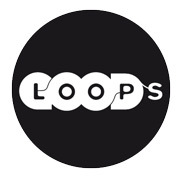 The loops are added to the Apple Loops library and indexed. When this process is finished, the loops are directly available in the Loop Browser. If you drag a folder of loops that are located on the same drive and partition as the Loop Browser, the loops will be left at their current location, and an alias of the folder will be created in ~/Library/Audio/Apple Loops/User Loops. If the loops are located on a different drive or partition, you are asked whether you want to copy them to the loop library, or index them at their current location (loops added from optical media are always copied). If you choose to copy them, the folder containing the loops are copied to ~/Library/Audio/Apple Loops/User Loops/. If you choose to index them at their current location, an alias to the folder is created in ~/Library/Audio/Apple Loops/User Loops/. The carefully designed and edited acidized .wav files can be used in every major sampling/looping device on the market. Since every DAW or sample player handles ACID Loops differently, please refer to the manual of the audio software you use to find out how to use ACID Loops with that particular software. Use the “SAGE converter” that was installed into your Applications directory when you installed Stylus RMX to convert the .rx2 versions of the loops to Stylus RMX Format. If you’re getting this message please open you Native Instruments Service Center and update to the latest Version of Kontakt. Guitar Kitchen relies on the “Time Machine Pro” time and pitch shifting algorithm in Kontakt 5. This algorithm sounds much much better than the “Time Machine 2” algorithm in Kontakt 4. That is why we decided to produce it for Kontakt 5. There will be a Kontakt 4 version of the library soon, but it will have the significant limitation of “Time Machine 2”. The manual is included in each of the archives that are delivered after purchasing. You can also get the manual from this link if you would like to read up before buying. The manual is in .pdf format. Mac OS X has an archive utility included that will both create and open .zip archives. Usually you can just double-click the downloaded archive and it will unpack. There are a couple of free utilities that will expand .zip archives. You can find a selection of free utilities over on download.com. The previous link had all the search options set for Windows, but this may change due to the way download.com handles their searches. If the results don’t come up, then please use their search box to search for “zip”.